In case you aren’t aware, the Internet Archive is an excellent resource in dire need of an update. As a repository of archaic and archival resources, it is second to none. Except maybe the Library of Congress. Or the British Museum. Or even the British Library. Maybe we can just say the Internet Archive is second to some. I found the following recording of former New York Governor Al Smith talking about the repeal of Prohibition in somewhat elated terms. Al Smith was an impressive person in his own right. He grew up on the Lower East Side as the Brooklyn Bridge was being constructed. He knew many of the families of the laborers there who died after coming down with a mysterious illness that affected the workers who drilled into the bedrock of the East River (what later turned out to be the bends). 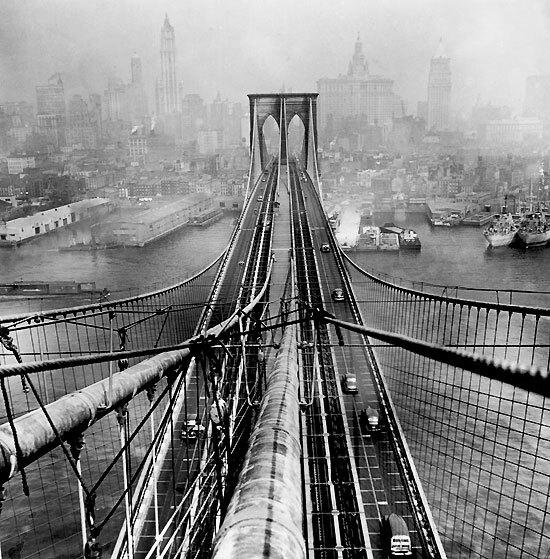 Factoid for the day: when complete, the Brooklyn Bridge was the largest structure in the Americas. Brooklyn Bridge from places where Gallagher fears to tread. I walked the bridge once and barely made it across due to my fear of heights. Click on the image to go to the website. Al Smith worked a zillion jobs, got involved with the Tammany political machine, rose up through the ranks, and became Governor of New York four times. He then ran against Herbert Hoover in the 1928 US Presidential Election as the first Catholic candidate for President. There was quite a fair bit of resistance to both his Catholicism and his New York City-ness in that election. However, I came here not to praise Smith, but discuss the cultural implications of his voice. Give the video a listen first. In many, if not most, of the recorded American political speeches of the early 20th century, the politicians sound like slight exaggerations, almost a stereotype unto themselves. Basically, everyone sounds like Jimmy Durante from Frosty The Snowman. Their voices are masculine, gravelly, and they have seemingly odd pauses and staccatos. Assuming for a moment that not everyone actually talked like that (which in Smith’s case might be a bad assumption as I am fairly confident he did talk like that), then there is a cultural component to the auditory here. What did Americans find reassuring about this type of gravelly voice? Although of a slightly higher pitch, Teddy Roosevelt projects this same sort of gravelly machismo (although Teddy tried to round out his sounds when he knew he was being recorded). What has changed since then? Politicians still have unnatural pauses for dramatic effect, but how much currency is there in speaking like you smoked a pack of cigarettes the night before? Is this before we as a people became accustomed to this type of interaction with leaders? I suspect there is a bit of bravado in this manner of speaking that we do respect, that does project leadership, that does appeal to our instincts of perpetual restlessness. Was it something about the 1920s and 1930s that demanded this type of speech? I imagine that the likes of Jimmy Cagney and Humphrey Bogart are merely descendants of this form of elocution. On a side note, I love old audio and video recordings. I am not sure if that is too obvious yet, so I will continue to post bits of history that I find interesting until that message is abundantly clear. Jimmy Cagney seems to resent my assertion that he is the vocal descendant of Al Smith. Click on the link to go to the website.